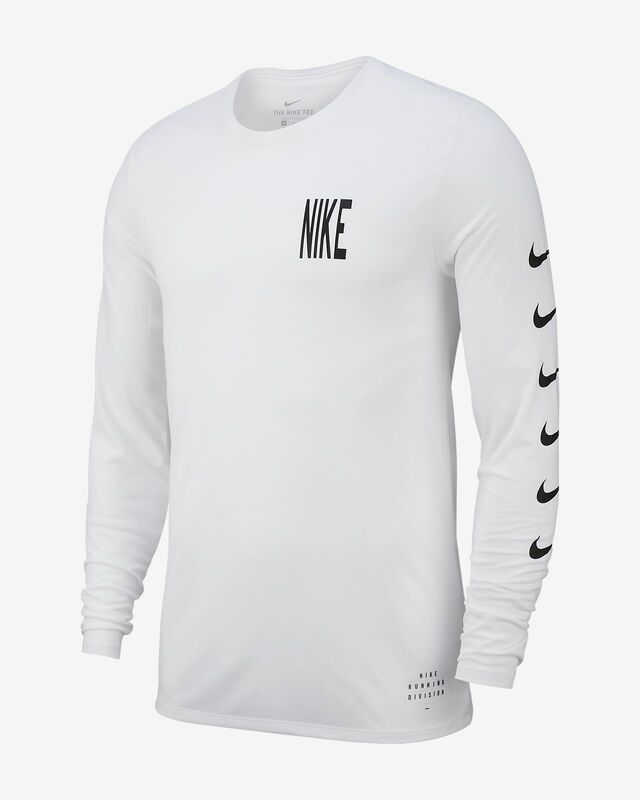 The Nike Dri-FIT Men's Long-Sleeve Running T-Shirt delivers a classic, long-sleeve design with sweat-wicking fabric. COOL AND COMFORTABLE ON YOUR RUN. 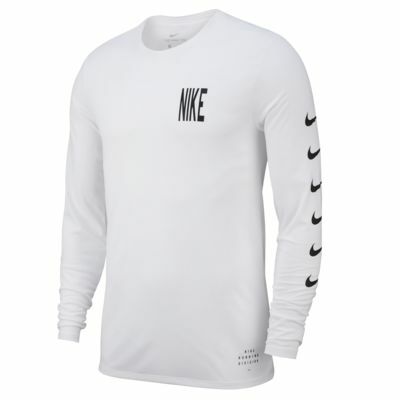 The Nike Dri-FIT Men&apos;s Long-Sleeve Running T-Shirt delivers a classic, long-sleeve design with sweat-wicking fabric.